Sponsored Post: Financial compensation was not received for this post. 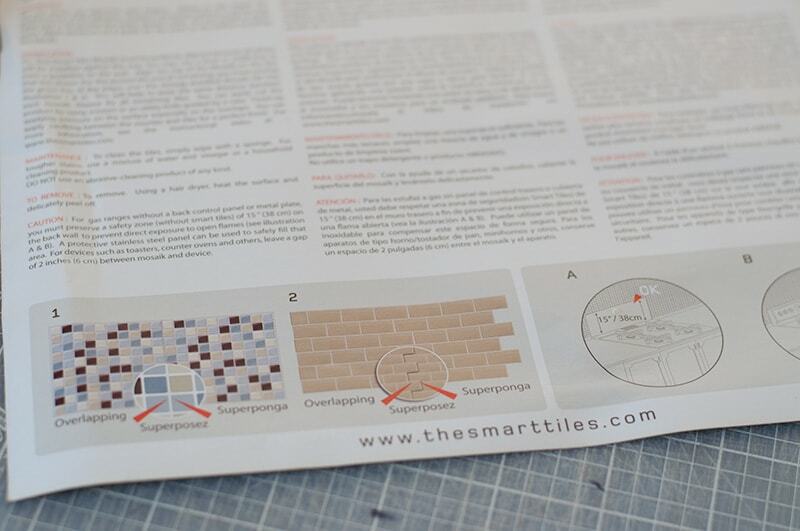 A sample product was gifted from Smart Tiles. Opinions expressed here are our own. I’ve really been working hard on giving my kitchen a makeover, I’ve painted the walls and cabinets, and added molding around the windows. 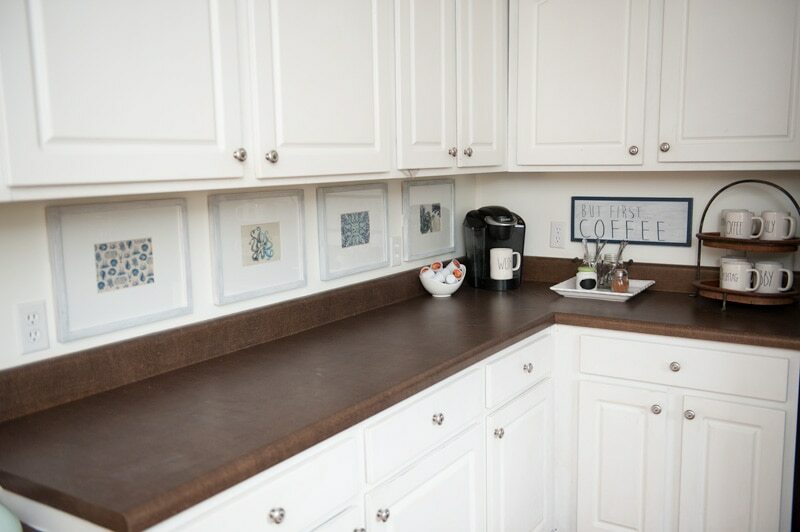 Next, I wanted to give the kitchen a backsplash. BUT I didn’t want to add tile. First it’s a big project and second, we don’t have all the tools needed. 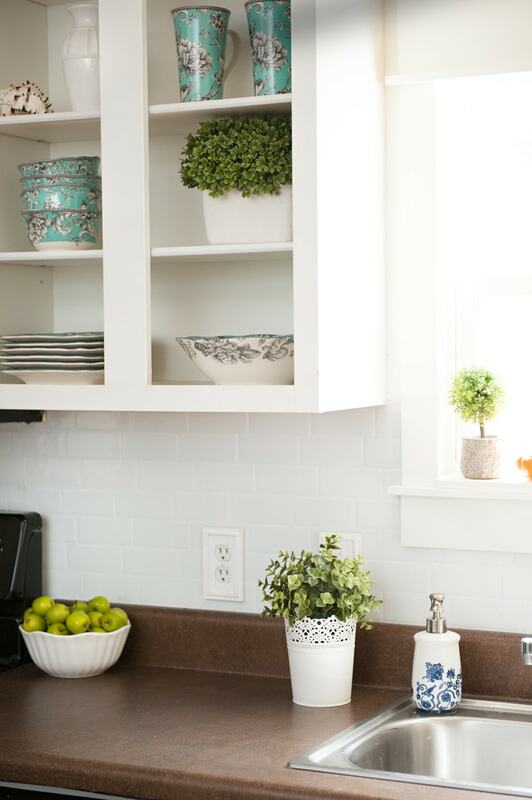 So while searching “backsplash makeovers” I came across a post from The Little House of Four and her backsplash. She used Smart Tiles, and I just loved the look, it’s exactly what I wanted to achieve but without all the hassle. 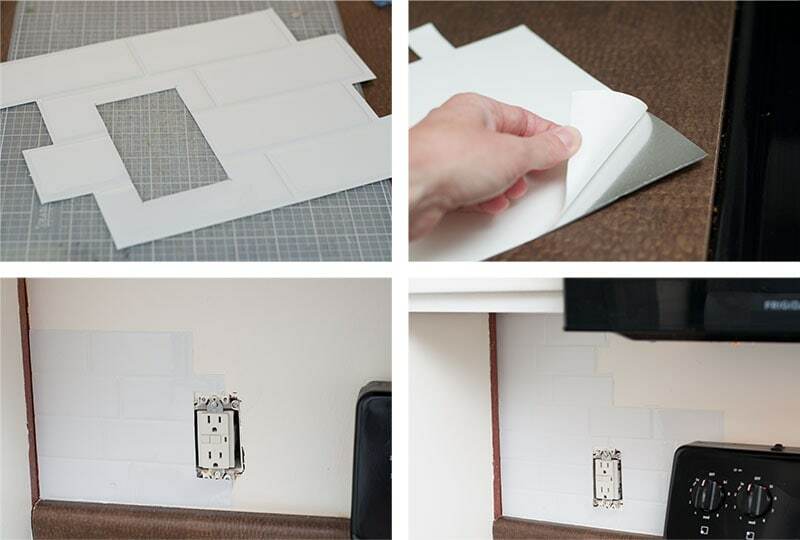 The Original, Made inNorth America, do-it-yourself peel and stick Smart Tiles are made of an adhesive substrate topped with a gel component called Gel-O™ (giving a 3-dimensional effect). We guarantee that our product will stick without adding extra glue and that our patented clear Gel-O™ component will never yellow or crack over time. 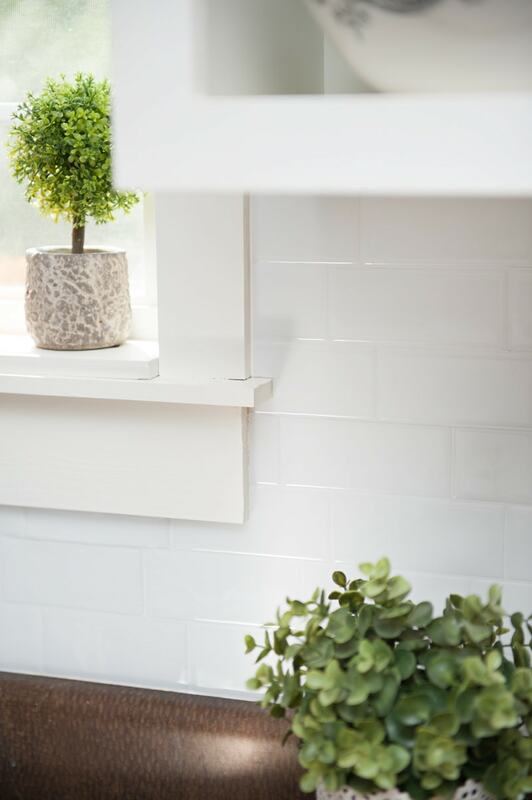 The tiles are lightweight, easy to handle, cut and maintain, and will remain on your walls for as long as you wish them to. The tiles can be installed in minutes over a clean and sleek surface without any mess or specialized tools. Especially designed for kitchen and bathroom environments (i.e. 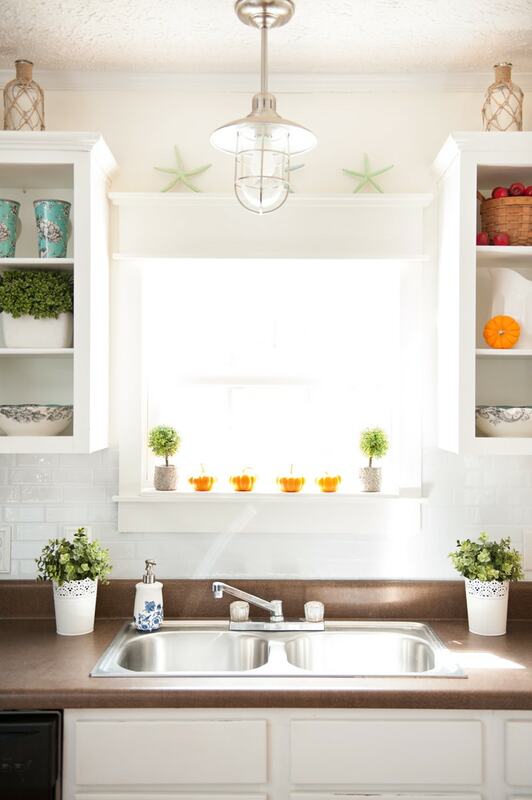 : backsplashes), the tiles are resistant to the heat of stovetops and the humidity of bathrooms (do not use in shower). So I contacted them about working together. They let me pick which peel and stick tile I wanted to use which was the Metro Blanco. It was the exact kind of tile I was wanting to use. So a couple days later I received my goodie package in the mail!! They came with some easy instructions to follow and I also watched a video tutorial which was really helpful. I already had a cutting board and X-Acto knife on hand. 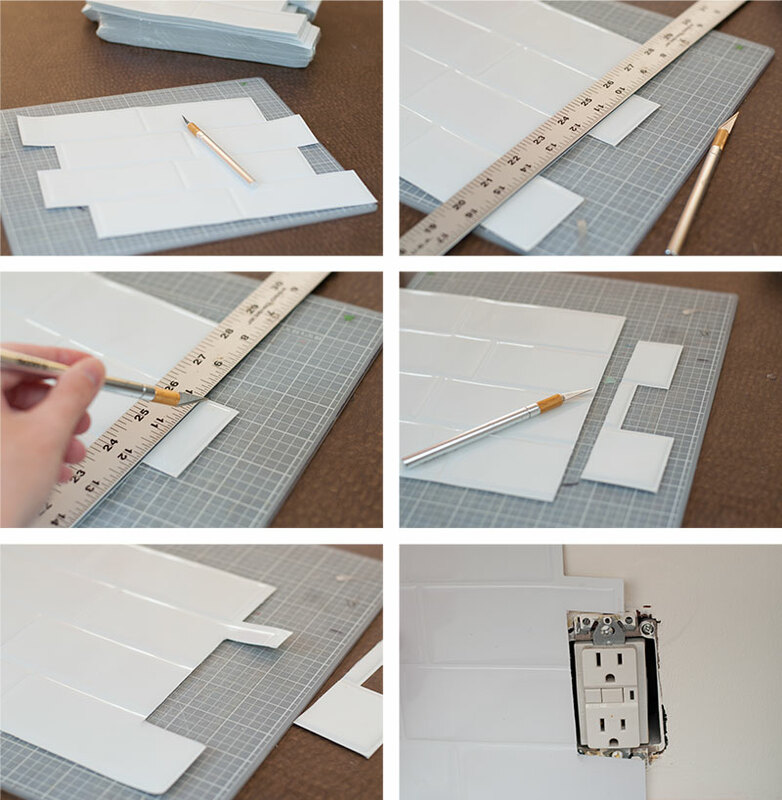 The X-Acto knife worked great for cutting the tile. I pulled out my “Handy” metal ruler to help me cut the edge of the tile. This piece was for the corner of the wall. The other side I had to cut for the electrical outlet. I measured them out and cut again with the X-Acto knife. Now it’s time to add our tile!! YAY!! I pulled the protective paper off (make sure not to touch the adhesive) and gently placed on the wall. I went over the entire bottom half of the wall. I have seen where some bloggers have used a level, but I didn’t need to use one. As long as the first piece is straight, you should be fine. There is an area on the (right side) that tells you where to overlap your tile pieces. After I did the bottom half, I started on the top. You have to measure it out and cut across the top. 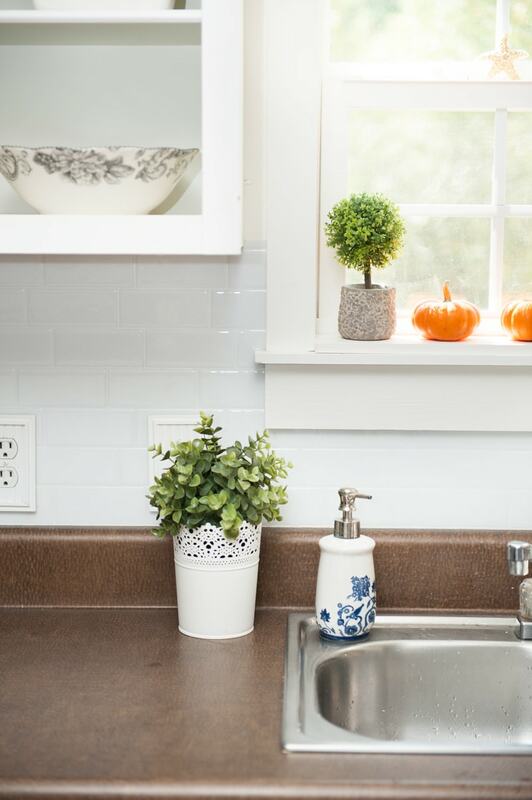 The hardest part is adding it around the window seal, but it’s easier than cutting a real piece of tile. I gave this job to my husband. He did a great job measuring all the cuts. They fit perfect around the window. So here’s the after!! What a dramatic different, make’s it feel so much fresher and bright! Don’t’ you agree?! My next task is to replace the sink and faucet. That will make a huge difference in my kitchen. Here’s a look at the other side of the kitchen, I will be adding the peel and stick tile to this wall next. A BIG thank you to Smart Tiles for sending me some great product. I can’t wait to finish this kitchen up! 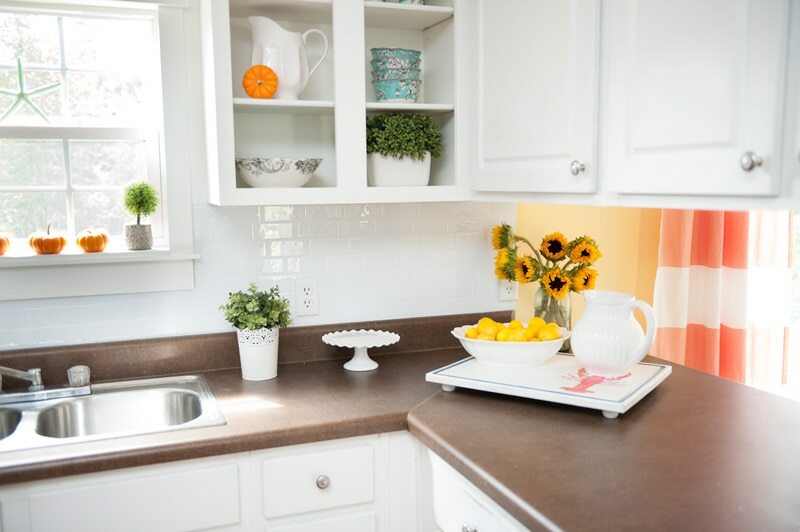 This Peel and Stick tile is a perfect option to do a kitchen backsplash makeover.